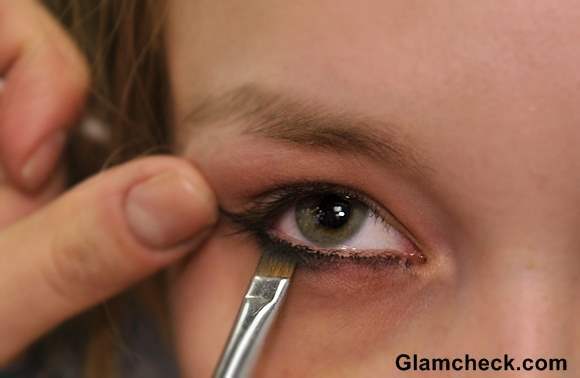 Smudged eyeliner on the lower eyelashes gives a smokey effect. It makes the eyes look bigger without the line appearing as too stark. 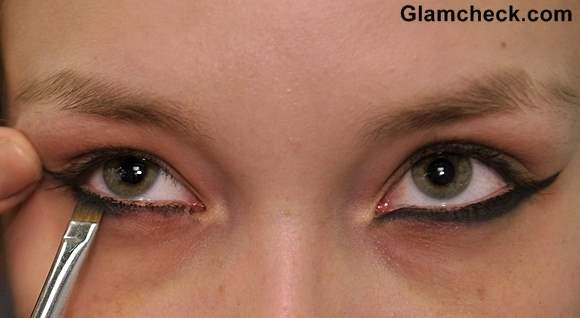 If you want the doe-eyed look, then this makeup technique is just right for you. However, you have to know how to do the smudgy effect correctly to avoid raccoon eyes. The first step is to apply eyeliner as it is normally done. 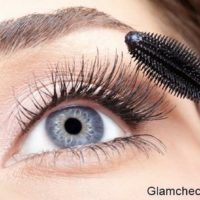 You can choose to line the lashes with a liquid or a solid black eyeliner – whatever you find more comfortable to handle. 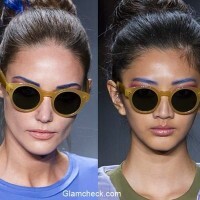 Line along the lower lash line and extend it in a slightly winged manner – moving beyond the outer corner of the eye. 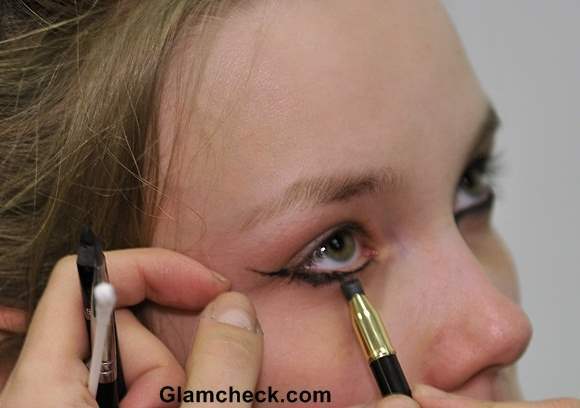 Once you have applied the eyeliner you need a brush to smudge the eyeliner, in order to achieve the smokey look. Choose an angled eyeshadow brush – these are specifically meant for working with eyeliner. 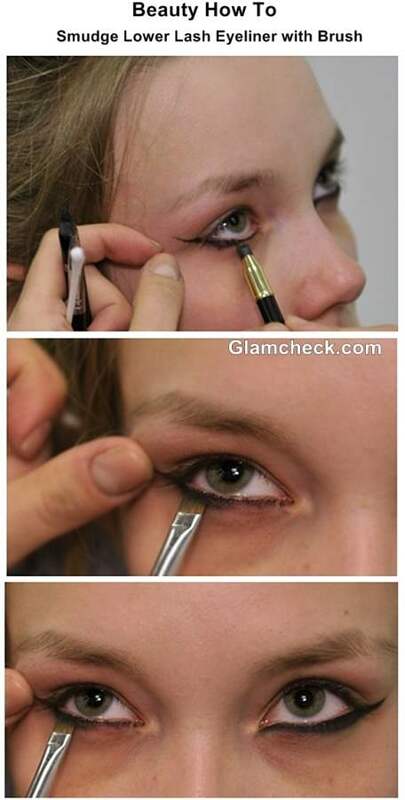 You will use the brush only after the eyeliner has completely dried, otherwise it will just make a mess. 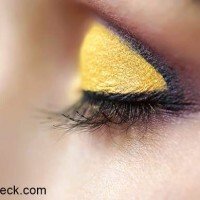 Gently rub the brush along the entire length of the dried eyeliner to smudge it. Achieving the smokey look by smudging the lower lash eyeliner is as simple as that. All you need is the right eyeshadow brush.